MLS Integrated Insurance quotes is not only what you & your customers have been asking for...it's available in 11 dfferent languages! Customers have always asked: "How much will my insurance be on this house? on this condo? Now, with just three clicks you and your customer can get the answers. The offer on your customer's dream property has been accepted and now the clock is ticking to get everything completed, including getting the insurance binder (even more important between June 1st and November 30). Now your customers can schedule the insurance inspection, get the insurance quote and pay for the binder...all with the assistance from their agent and just a click from MLS. Accessing MLS integrated insurance made easy. 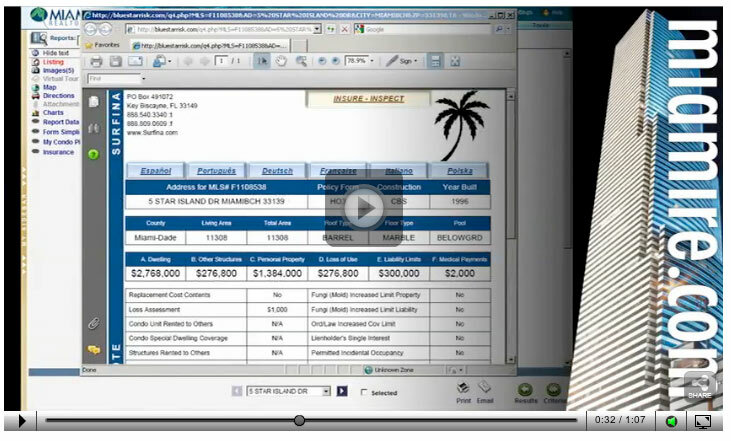 Perform property search in RE1 or RE2. Insurance link in icons above listing. Click and indicative quote will appear. If you require an actual inspection or quote (binder) fill out requested name, phone number and email address.